In order to turn a prospect or a lead into a client, you must get them to say “YES!” You need to close for an appointment when you have them on the phone and you need to close for a signature when you are on the appointment. Not sure what to say? Check out these closes… surely one of them will fit your needs, don’t you agree? If you could get what you wanted for the home now, and then move to another home that fits your needs, would you consider moving now? If i could show you that i could get you top dollar for your property and that you would feel comfortable working with me, would you consider listing your home with me tonight? 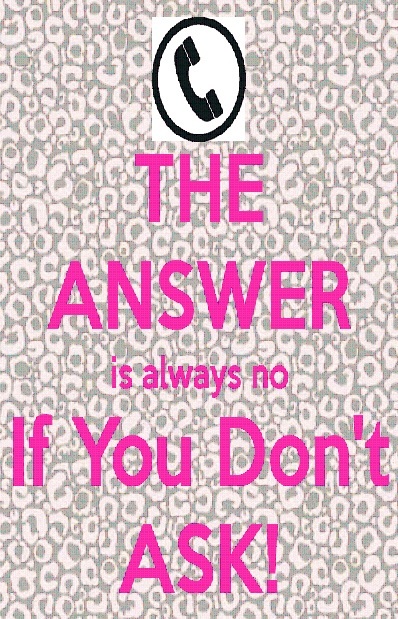 I hope I am the last agent you are interviewing so we can get your home on the market today. Let’s get it going and get it sold for you! If you felt absolutely confident that you could sell it now, would you sell your house? Here’s the problem and I don’t care, even if you don’t list with me, if you are going to get this home sold in today’s market, it is critically important that you do look at different marketing approaches so you don’t get burned again (if it is an expired) because you don’t want to put the home back on the market and not have it sell again. Let me ask you this, do you know the difference between passive and aggressive marketing? OK Good! when would be the best time to show you… tonight at 6 or would tomorrow at 3 be better? Fortunately, to get you one step closer to (wherever they are moving to) all we need to do now is simply set an appointment so I can help you get what you want in the time you want! Won’t that be great? Now that you’ve seen these prices, I’m going to recommend a price of $________. Will you list your home with me for that price tonight? I wouldn’t be doing my job if I didn’t get an appointment with you. I have learned over the years that chances are you will end up with a mediocre agent and you don’t deserve that. May i drop by at 5 tonight or would 6 be better? When I come over, I am going to tell you exactly why your home didn’t sell and that way when you decide to list again, you won’t make the same mistake. Let’s set a time so I may show you how I get homes sold… would 6 or 6:30 work better for you? Why do you think a lot of people sell a lot of houses and others don’t? _____ That’s exactly why we should get together so I can show you what I do to sell homes… that is what you want isn’t it? If I could get your home sold in the next 30 days, would that be a problem for you? Great! All I need is 15 minutes to show you how I get homes sold… may i come by at 6 or does 6:30 work better for you? Before you tie yourself up in a multi month contract for thousands of dollars, don’t you think you owe it to yourself to get just one more opinion? I can come by at 6 or would 6:30 be better? (Going to re-list with same agent) What is that agent going to do differently this time that they haven’t already done? Don’t you think they would have done everything they could to get your home sold the first time they had it on the market? 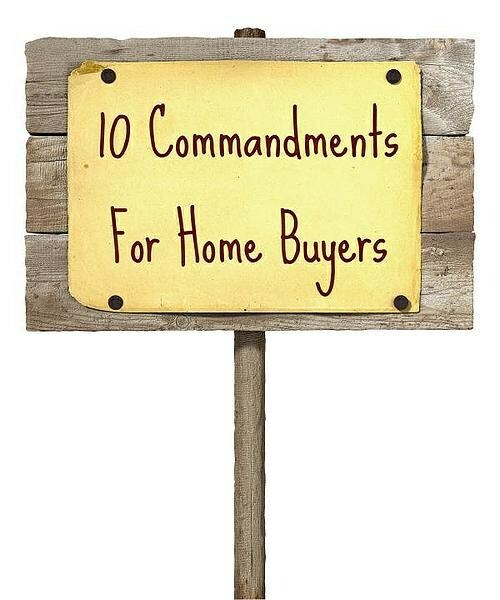 In the meantime, give your Buyers the “10 Commandments” in advance to avoid these heartbreaking scenarios! As an agent, click here for a downloadable sample that you may brand with your own information to hand out to Buyers. He is engraved in stone in the National War Memorial in Washington, DC- back in a small alcove where very few people have seen it. For the WWII generation, this will bring back memories. For you younger folks, it’s a bit of trivia that is a part of our American history. Anyone born in 1913 to about 1950 is familiar with Kilroy. No one knew why he was so well known-but everybody seemed to get into it. So who was Kilroy? ‘Kilroy’ was a 46-year old shipyard worker during the war who worked as a checker at the Fore River Shipyard in Quincy. His job was to go around & check on the number of rivets completed. Riveters were on piecework & got paid by the rivet. He would count a block of rivets & put a check mark in semi-waxed lumber chalk, so the rivets wouldn’t be counted twice. When Kilroy went off duty, the riveters would erase the mark. Later on, an off-shift inspector would come through & count the rivets a second time, resulting in double pay for the riveters. One day Kilroy’s boss called him into his office. The foreman was upset about all the wages being paid to riveters, & asked him to investigate. It was then he realized what had been going on. The tight spaces he had to crawl in to check the rivets didn’t lend themselves to lugging around a paint can & brush, so Kilroy decided to stick with the waxy chalk. He continued to put his check mark on each job he inspected, but added ‘KILROY WAS HERE’ in king-sized letters next to the check,& eventually added the sketch of the chap with the long nose peering over the fence & that became part of the Kilroy message. Once he did that, the riveters stopped trying to wipe away his marks. Ordinarily the rivets & chalk marks would have been covered up with paint. With the war on, however, ships were leaving the Quincy Yard so fast that there wasn’t time to paint them. As a result, Kilroy’s inspection “trademark” was seen by thousands of servicemen who boarded the troopships the yard produced… giving them confidence that every rivet had been checked and they would be safe! Before war’s end, “Kilroy” had been here, there, & every where on the long hauls to Berlin & Tokyo. To the troops outbound in those ships, however, he was a complete mystery; all they knew for sure was that someone named Kilroy had “been there first.” As a joke, U.S. servicemen began placing the graffiti wherever they landed, claiming it was already there when they arrived. Kilroy became the U.S. super-GI who had always “already been” wherever GIs went. It became a challenge to place the logo in the most unlikely places imaginable (it is said to be atop Mt. Everest, the Statue of Liberty, the underside of the Arc de Triomphe & even scrawled in the dust on the moon. So how do YOU leave your impression on others? After a listing appointment or Buyer appointment do your clients feel “safe” that you will get the job done for them? When you interact with a co-op agent, closing attorney, or lender what “mark” do you make? Would they be able to say “_______ was here” and mean it in a good way? Follow up conversations with an email summary so that you and your clients & co-agents are on the same page every step of the way! Send a handyman to your new Buyers with the first $250 – $500 of work paid for by you! Drop off pizza & sodas to your clients on moving day! Ultimately, remember the “Golden Rule” and treat others as you would wish to be treated in a similar situation!